3D design software such as AutoCAD or Sketchup, allow the designer to draw a product in detail. Products can be designed and modified quickly. 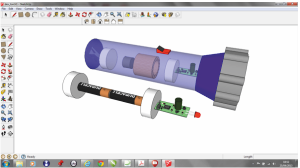 CAD allows for the testing of prototypes during the design process, without the need to make it. Once a prototype design has been produced, it can be manufactured on a CNC machine or Rapid Prototyping machine. Computer Aided Manufacture (CAM) has meant that products and components can be made repeatedly to the same high standard. 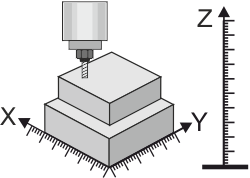 Accuracy of machining is consistently high and machining through CAM is much faster than machining by human control / by hand. Large quantities can be produced 24 hours a day, reducing the final cost/price. Computers are used extensively in the design and manufacture of many products.